Laboratory workstations must be strong, tough, and built to exacting safety standards. Every day, lab furniture is exposed to harsh conditions—hazardous chemicals, extreme temperatures, dangerous situations, and heavy loads. Every piece of equipment must be manufactured with precision and chosen with care.At Genie Scientific, we test each of our science lab workstations to ensure it can the handle the challenges of any laboratory environment. 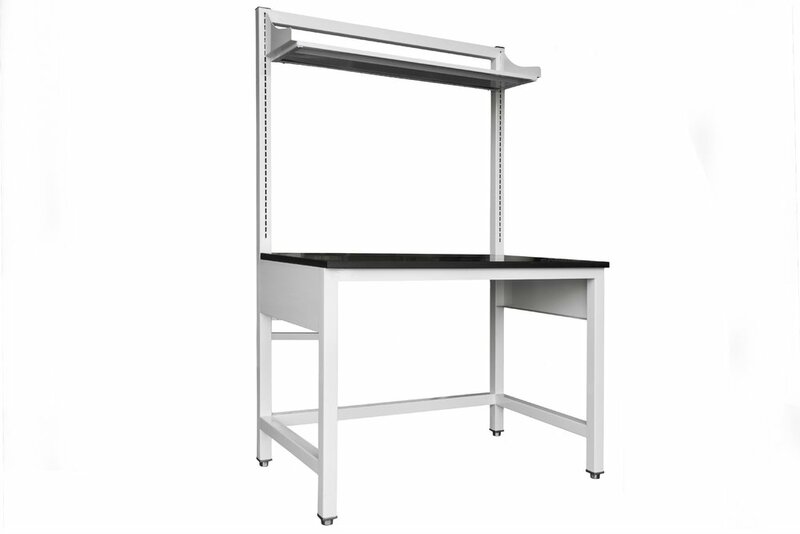 We manufacture all of our lab workstation furniture to meet strict safety requirements and to provide maximum utility for any application. 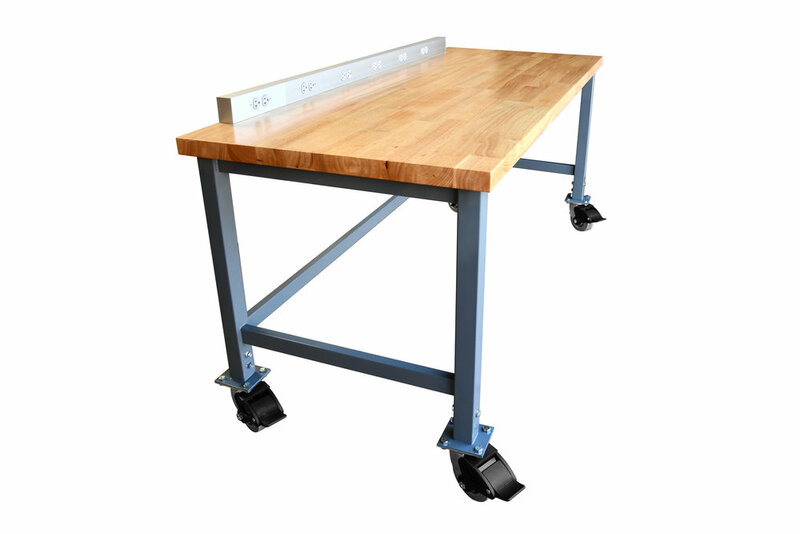 All Genie lab tables, desks, and workstations are fabricated from heavy-gauge tube. That means our laboratory tables can safely support your large, heavy, and expensive equipment without worry of failure. 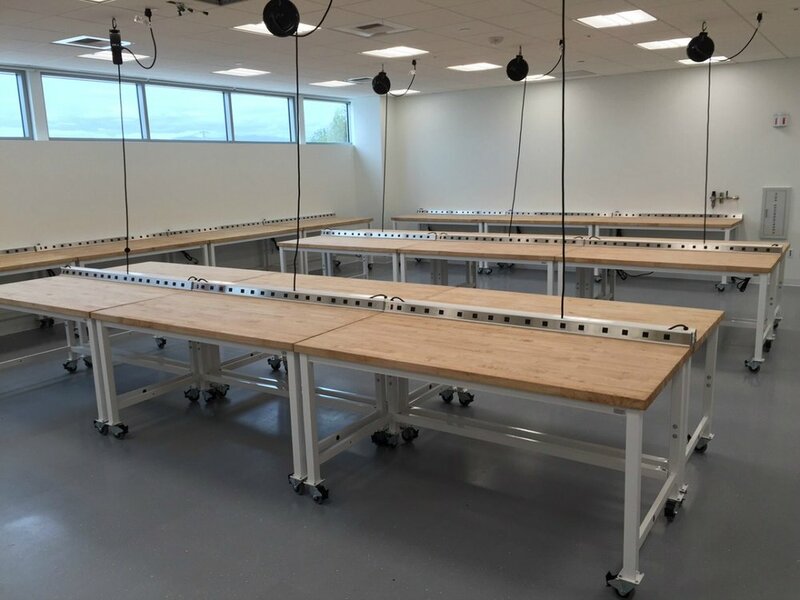 Genie also fabricates lab tables with adjustable legs, casters, non-marring feet, adjustable shelving, hanging cabinets, lights, power strips, and many more options. Our flexible table based system with adjustable shelving, pre-plumbed utility cores. Simple, strong, steel. Not sure which model is right for your laboratory? 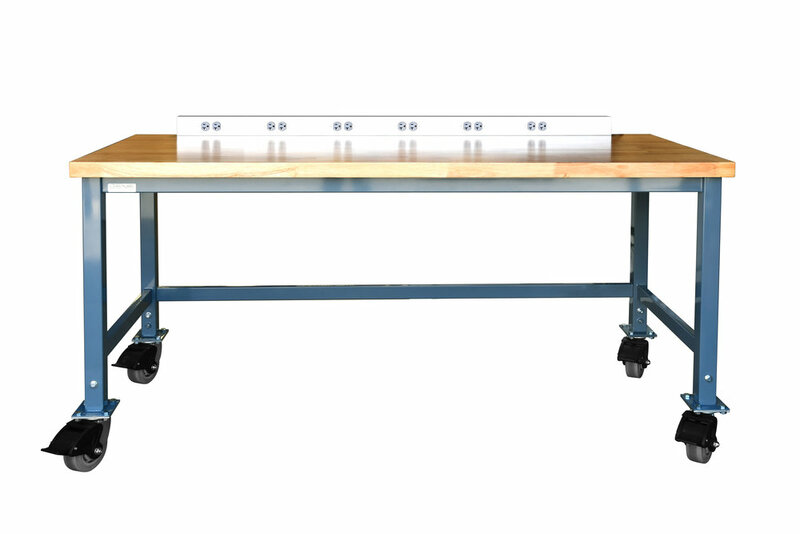 Browse through our catalog to see our full lineup of science lab tables. You can also read through the catalog to learn more about which materials are appropriate for which applications. 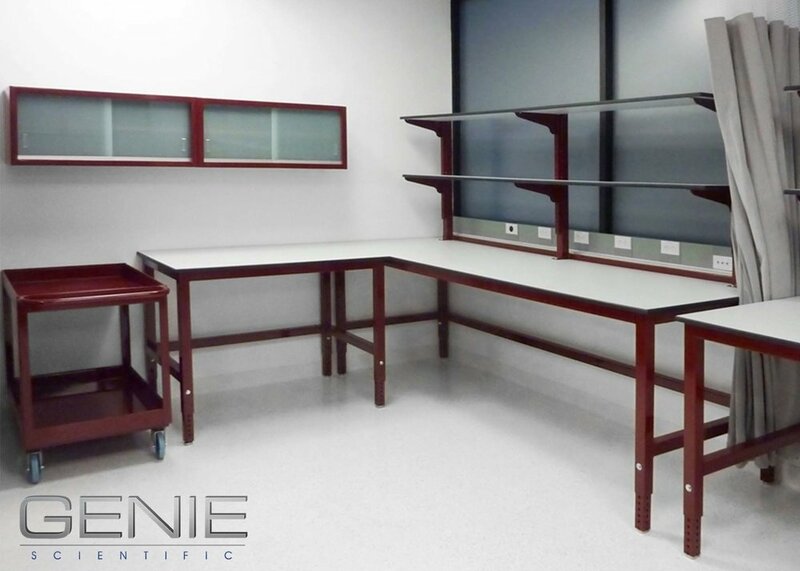 If you’re ready to purchase, remember that Genie Scientific also offers professional lab furniture installations.